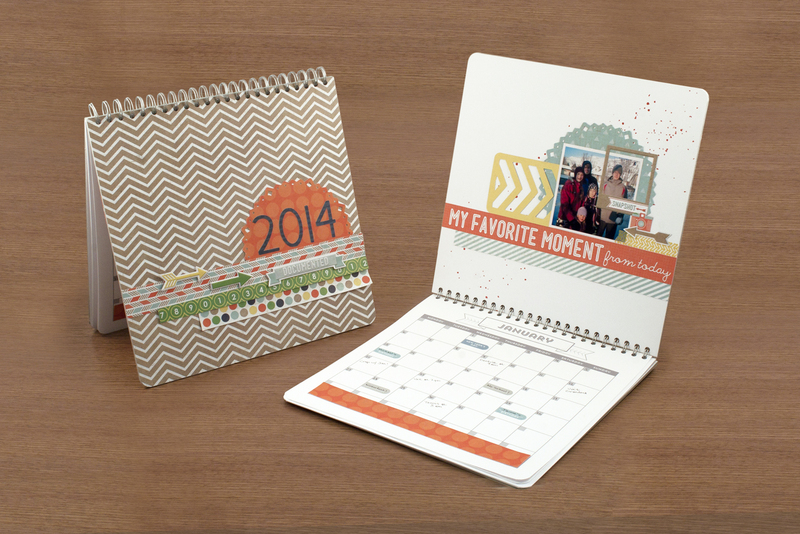 Even though January just finished, it's still not too late to get a new calendar going. They make great gifts, and are super handy to keep around for yourself as well. 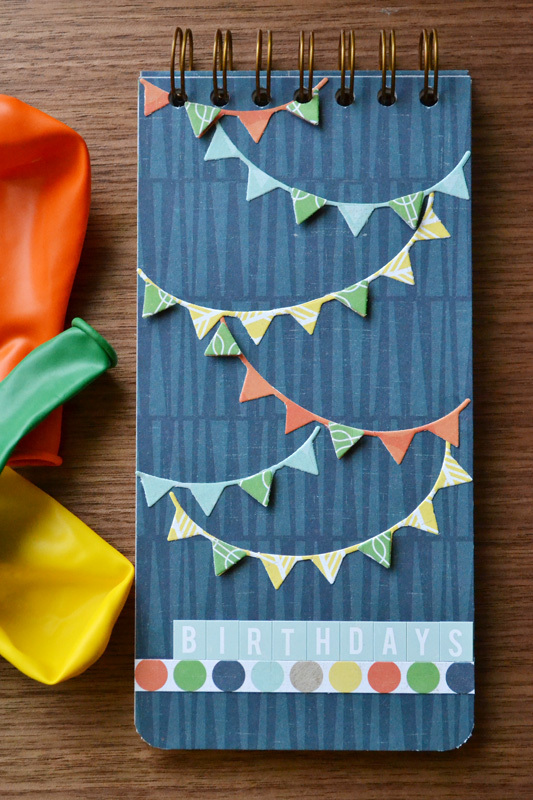 Here's a fun DIY birthday calendar project with a video tutorial below. I trimmed a piece of 8x8 chipboard in half to create the covers, and I printed the inside pages using the free printable calendar pages you can download HERE. Here’s another great Cinch calendar idea: at the CHA trade show in Anaheim this month we released some new Cinch Kits, one of which is a 12×12 Calendar Kit. 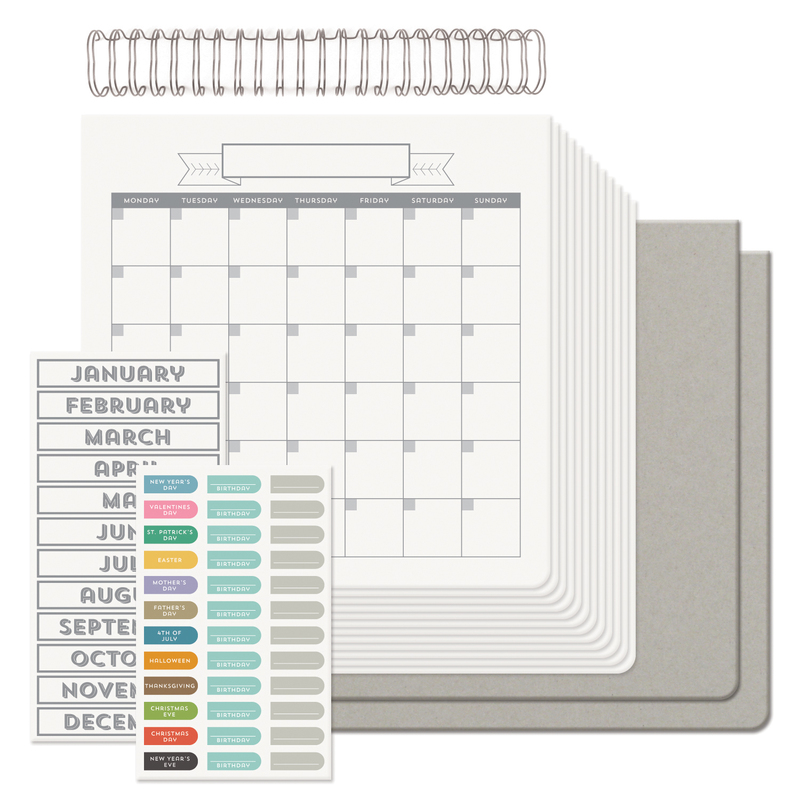 This kit includes bare chipboard covers, blank calendar pages, binding wire, and fun stickers to help you fill in your calendar pages. 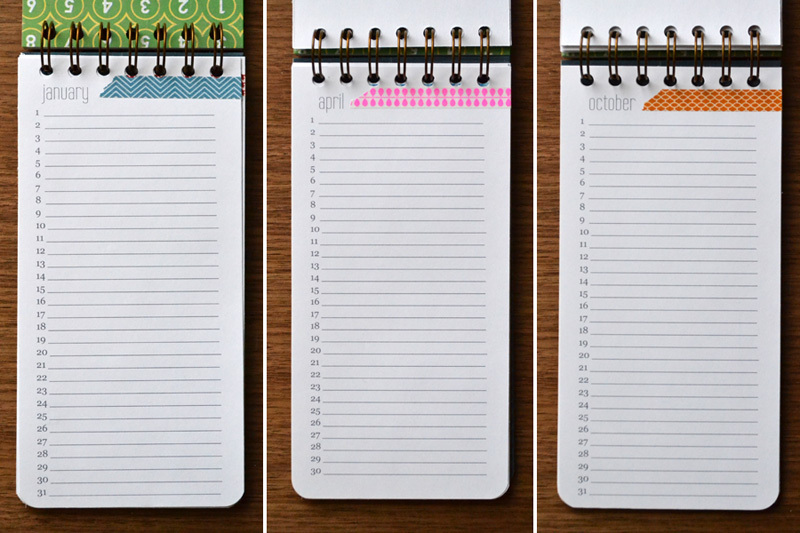 Use your creativity and your favorite paper collections to alter this calendar. It makes a great gift! Watch for the Cinch Kits to start shipping in April. For full supplies for this project please visit the We R Memory Keepers blog HERE.